This position is a California civil service position. In order to be eligible, a candidate must first apply for the Public Health Medical Administrator I civil service exam. Once the candidate has successfully completed the exam process, he/she can be considered for the Branch Chief position. 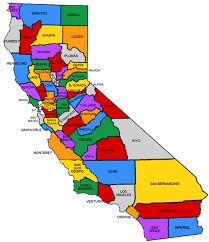 This position is a California civil service position. In order to be eligible, a candidate must first apply for the Public Health Medical Officer III civil service exam. Once the candidate has successfully completed the exam process, he/she can be considered for the Medical Director position. This position is a California civil service position. In order to be eligible, a candidate must first apply for the Research Scientist Supervisor II civil service exam. Once the candidate has successfully completed the exam process, he/she can be considered for the Section Chief position. If you'd like more information about any of these job opportunities, please contact me. In clinical settings such as hospitals the goal is to treat a condition and cure the condition if possible. Public health nurses do treat ailments, but their main objective is to prevent diseases and complications from occurring. To those who are interested on having a Public Health Jobs in Atlanta Georgia career path, please visit Public Health Jobs in Atlanta Georgia for the latest job of the day review.